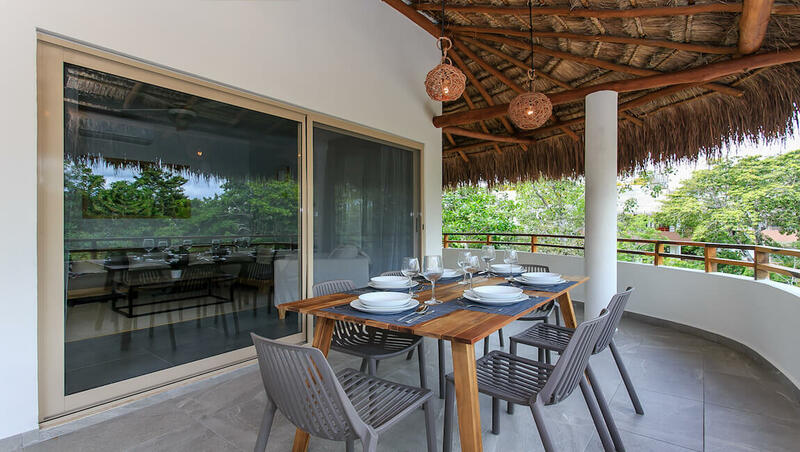 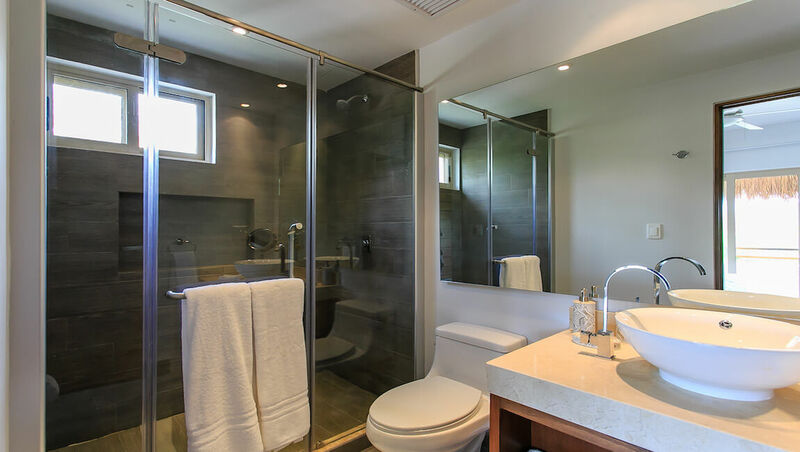 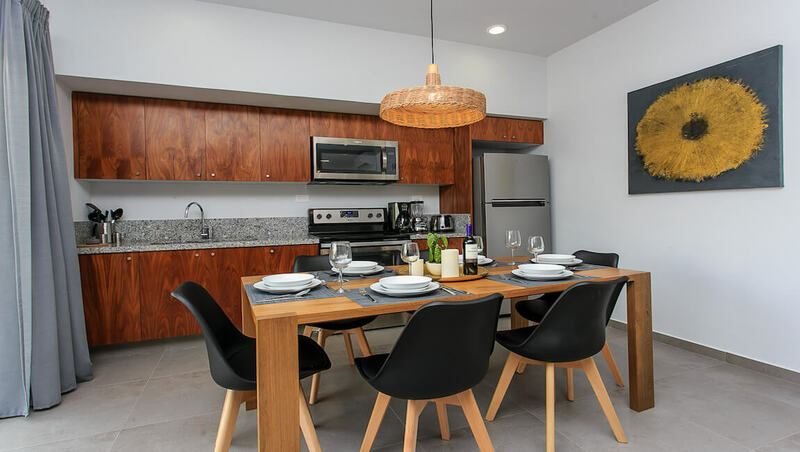 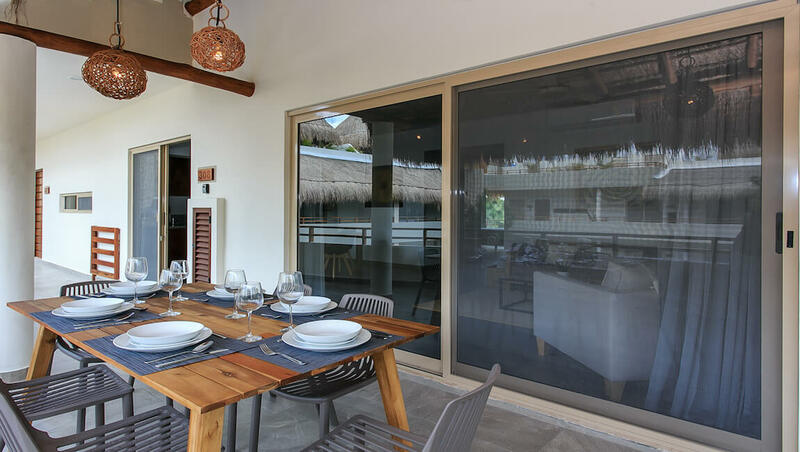 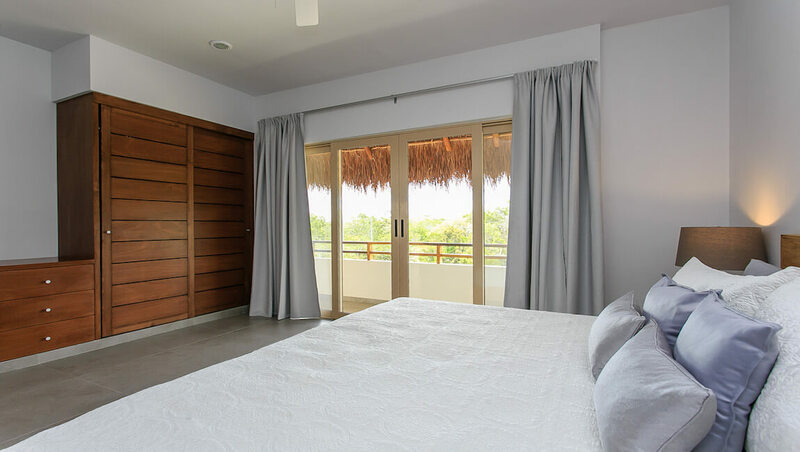 This lovely two bedroom, two bathroom penthouse is a great option in Tulum vacation rentals, spacious & equipped with beautiful common areas. 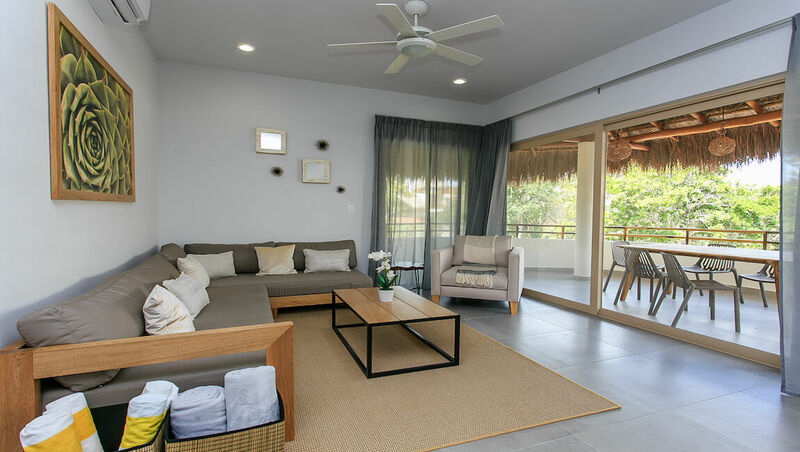 Enjoy relaxing in the living room after a day at the beach with family or friends. 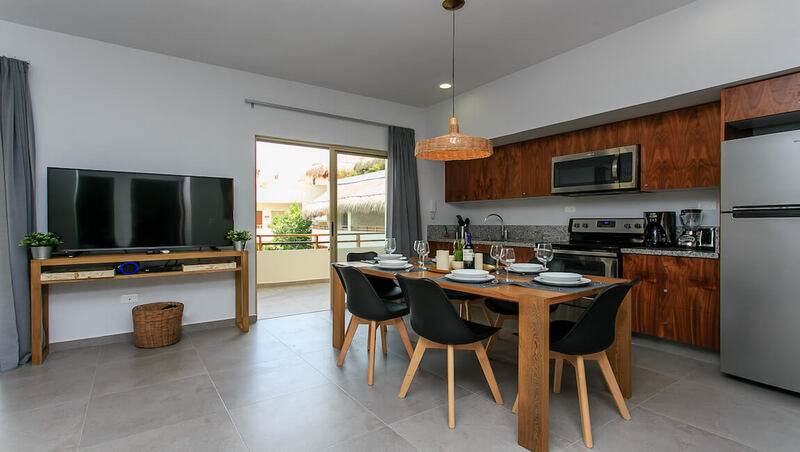 The kitchen is equipped with everything you need to prepare your meals at home, enjoying dining inside or outside on the terrace. 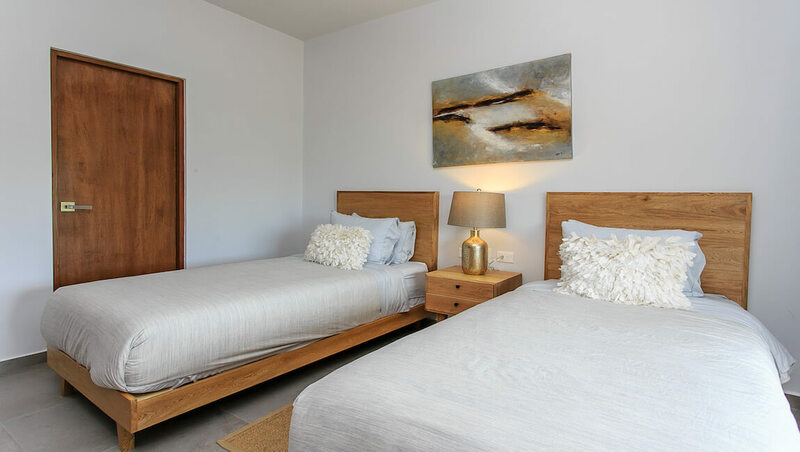 The guest bedroom has two twin size beds, direct access to the bathroom that is shared with the living area and access to the terrace. 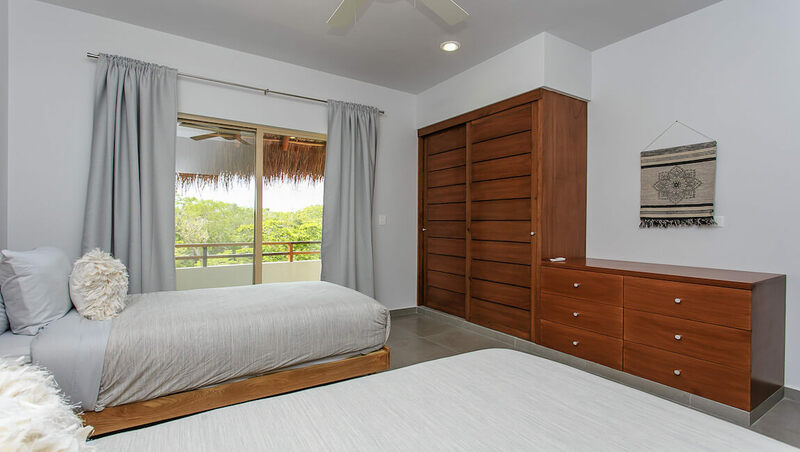 The master bedroom has terrace access as well and a private bathroom. 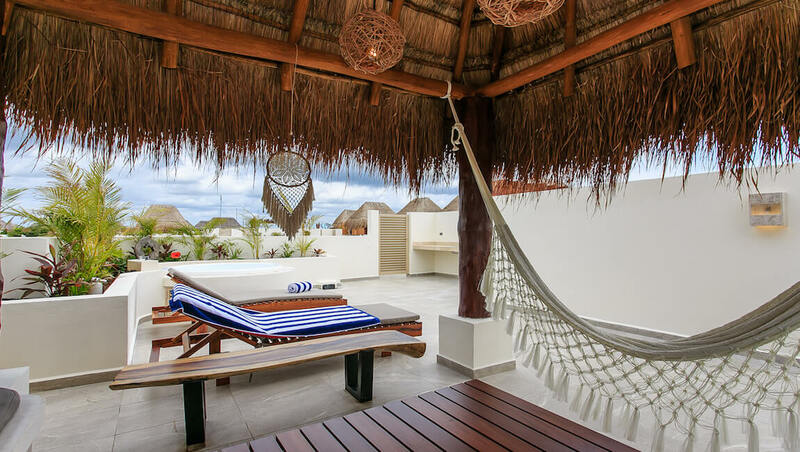 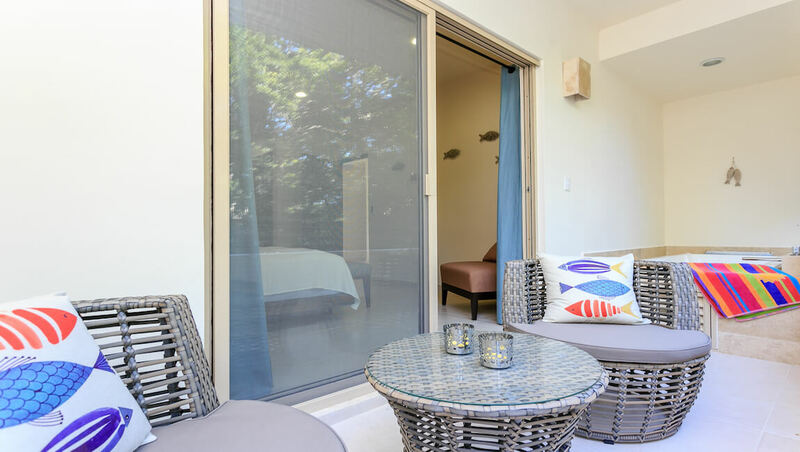 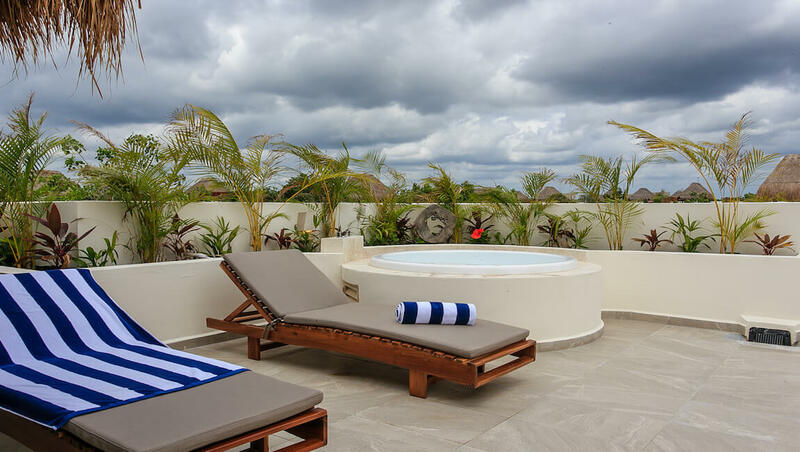 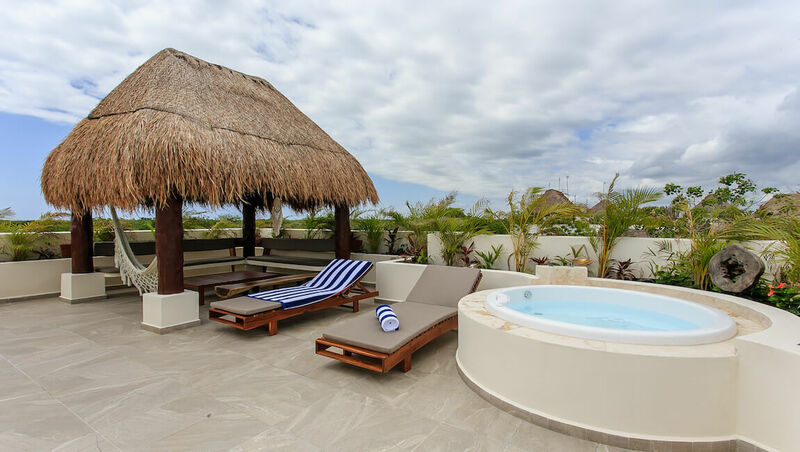 Venture to the private rooftop for a soak in the jacuzzi tub, to take in the sun on the lounge chairs or to have a relaxing nap in the hammock under the shade of the palapa. 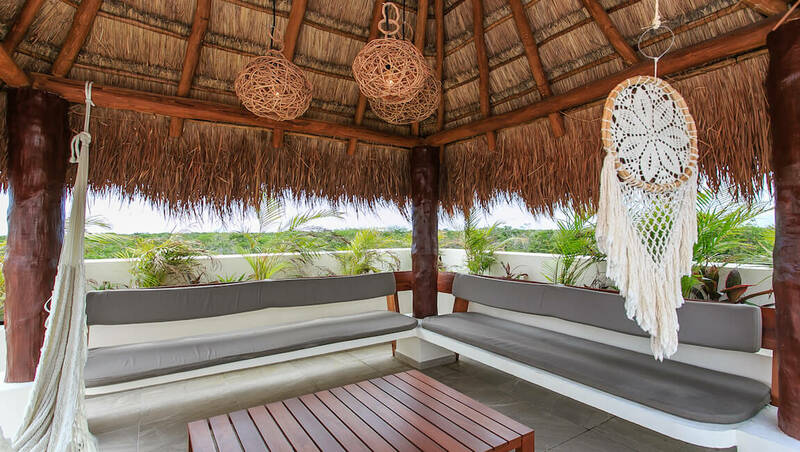 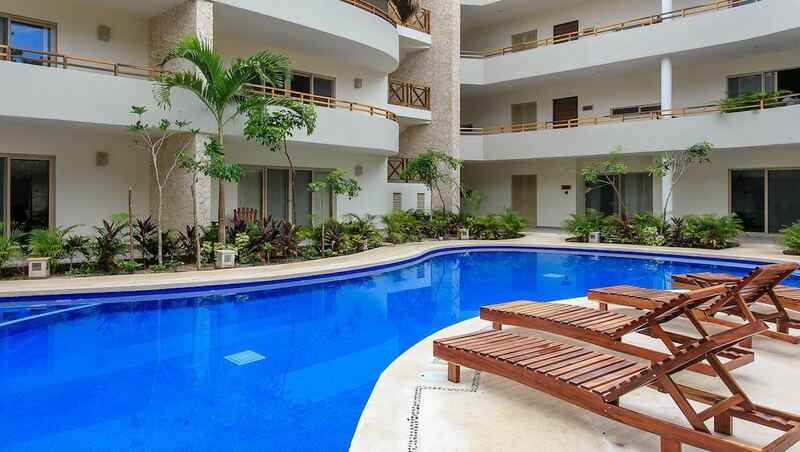 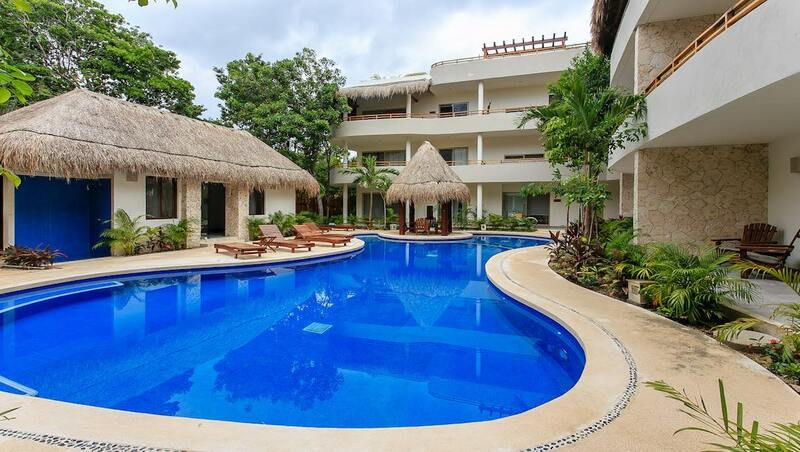 Penthouse Lotus is located in the most exclusive area for vacation rentals in Tulum, minutes from the beach. 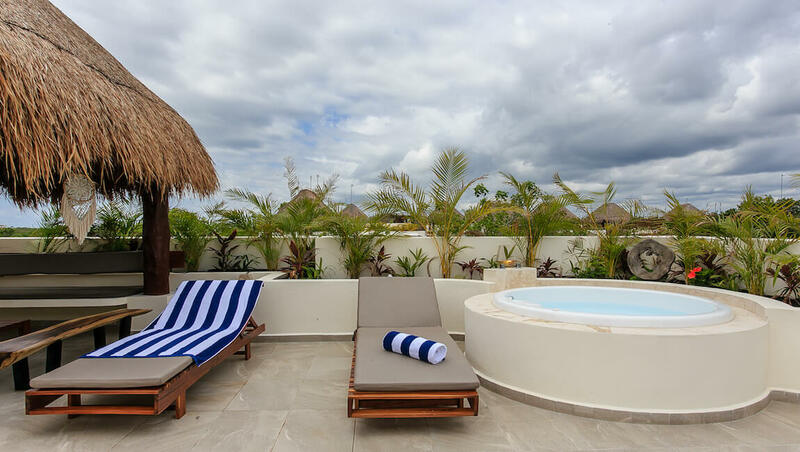 Common areas include a swimming pool with lounge chairs, bathrooms, and palapas to take a break from the sun. 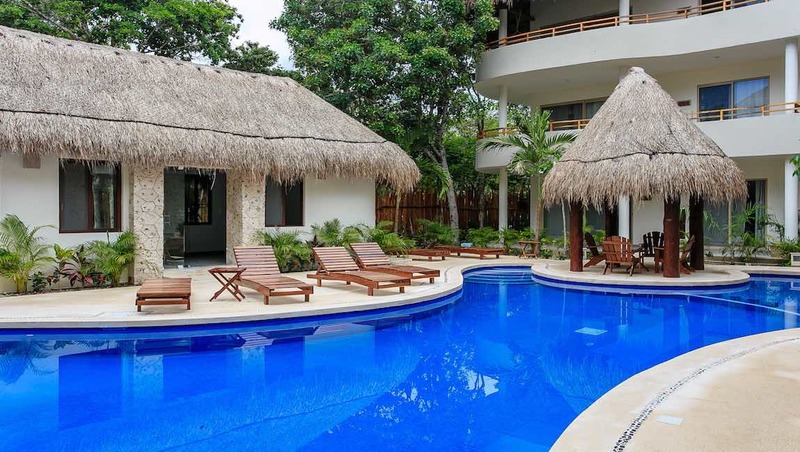 Tulum, Mexico is one of the hottest spots in the world for vacation, welcoming visitors from all over the world! 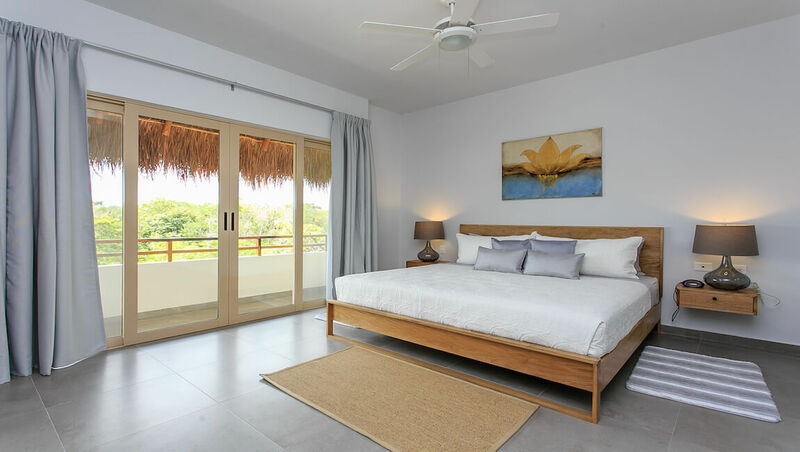 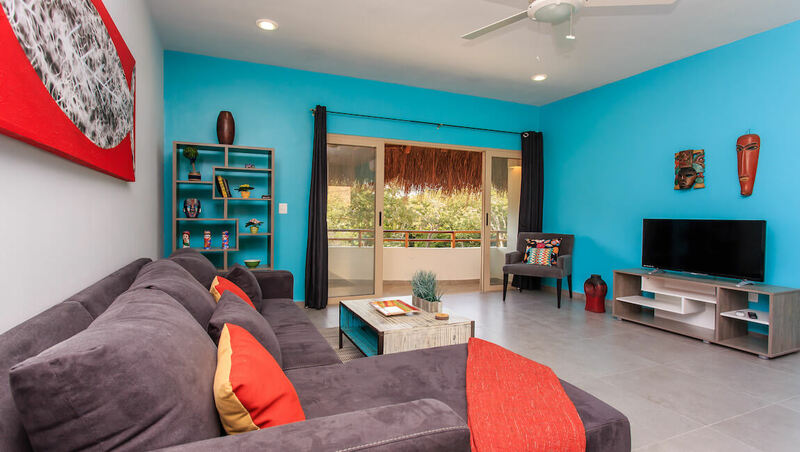 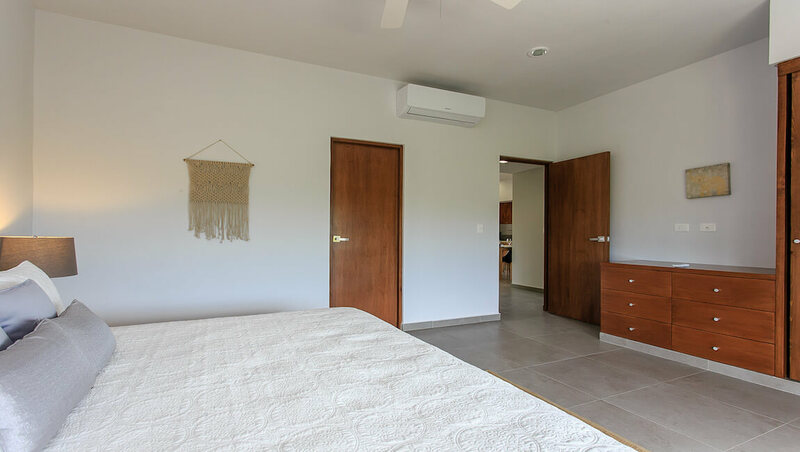 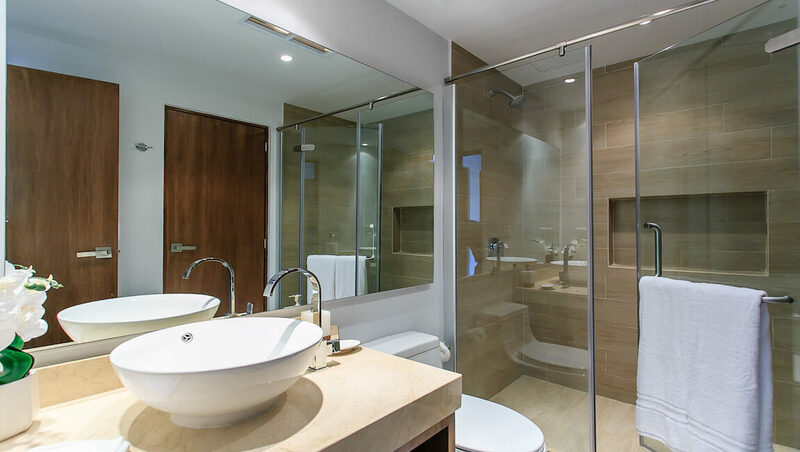 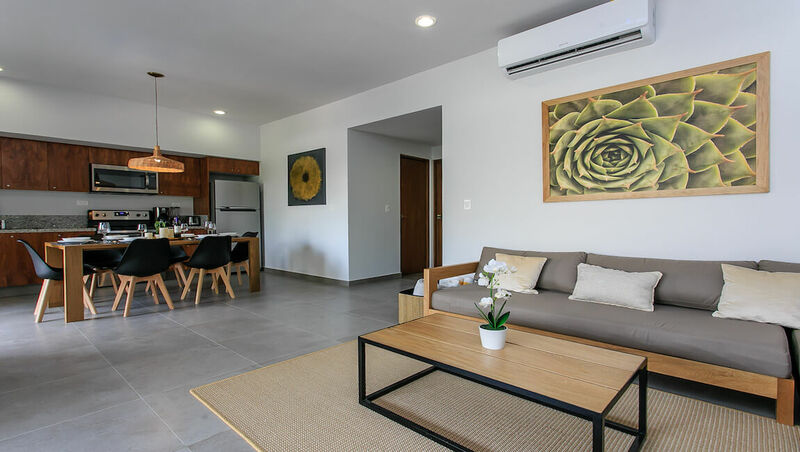 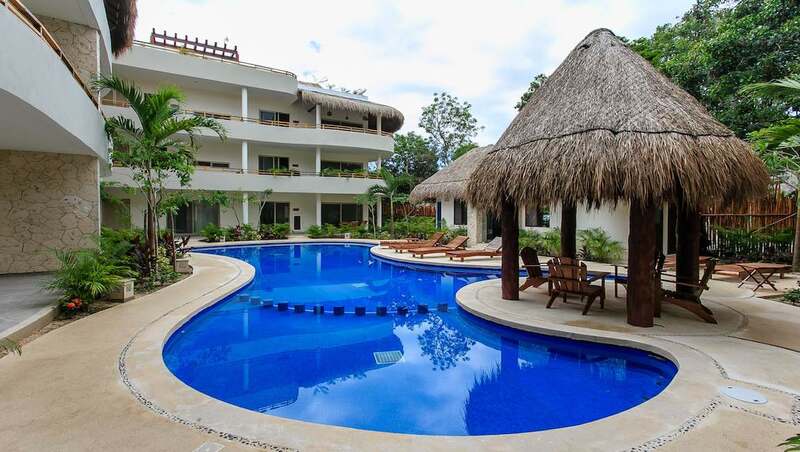 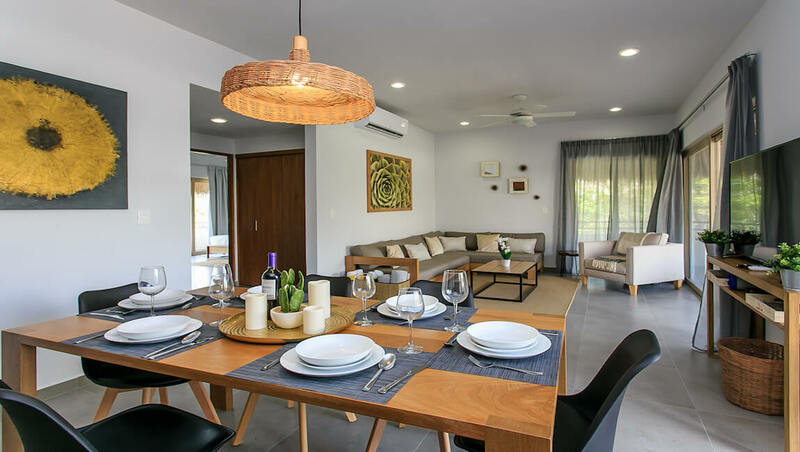 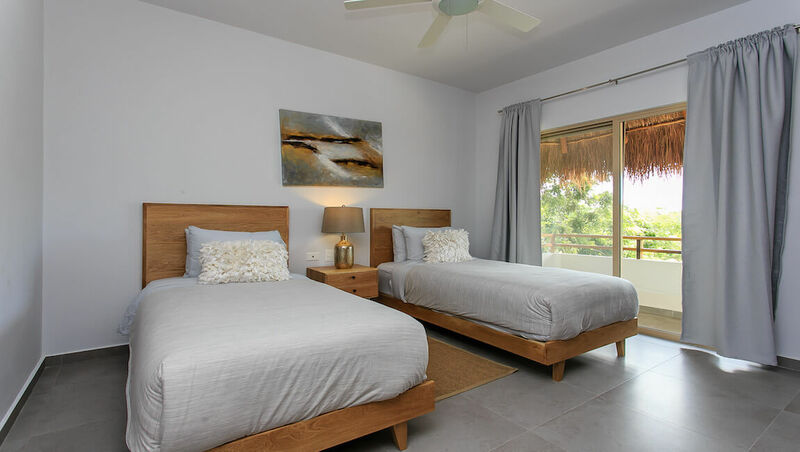 Enjoy the most amazing white sand beaches, Mayan Ruins, eco parks and more during your visit, all while staying in a comfortable and beautiful penthouse!